Can The DNC Put Out The Fire? With emails being leaked, a chair stepping down and the party in turmoil all coming on the week of their convention, what will it take for the DNC to survive? Wow what a weekend! Wikileaks unleashed a storm on Friday with their dump of some of the emails from the DNC, which were obtained by the Russian hacker Guccifer. Now that the chair, Debbie Wasserman Schulz, has tendered her resignation, what kind of rebuilding is this going to take? I don’t want to re-litigate the actual contents of the emails, but before going further, people not involved in actual party politics seem to be overlooking the most damming evidence against Schultz and top staff at the DNC – their actions violated the Charter and Rules and Bylaws of the DNC. The Democratic Party of the United States shall be open to all who desire to support the Party and who wish to be known as Democrats. Participation in the affairs of the Democratic Party shall be open pursuant to the standards of non-discrimination and affirmative action incorporated into the Charter of the Democratic Party of the United States. Ever since Bernie got in the race last year there has been tons of rumblings that “he isn’t a Democrat.” Mostly that was from social media warriors and bloggers, but with the email leak came proof that this sentiment was being openly discussed at the DNC. Funny but those same people always loved to say “he needs to play by the rules”. Guess what? Bernie was playing by the rules. It was the Clinton supporters, including top staff at the DNC, that wasn’t playing by the rules. The National Chairperson shall serve full time and shall receive such compensation as may be determined by agreement between the Chairperson and the Democratic National Committee. In the conduct and management of the affairs and procedures of the Democratic National Committee, particularly as they apply to the preparation and conduct of the Presidential nomination process, the Chairperson shall exercise impartiality and evenhandedness as between the Presidential candidates and campaigns. 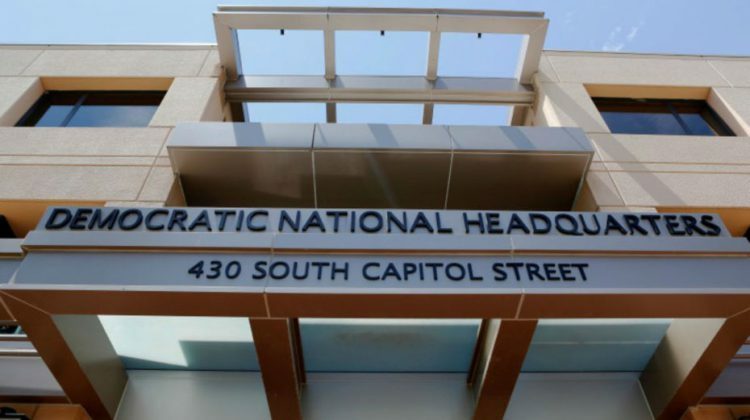 The Chairperson shall be responsible for ensuring that the national officers and staff of the Democratic National Committee maintain impartiality and evenhandedness during the Democratic Party Presidential nominating process. The staff is supposed to remain impartial during a primary, and the chair is also to remain impartial, but also enforce this impartiality. Debbie Wasserman Schultz did neither. Now some on the pro-Hillary side of things are arguing that these emails really aren’t that bad; that they were nothing more than office chit chat. The problem with that is this wasn’t simple chit chat. We don’t know what chit chat actually entailed, considering we’re talking about people discussing this via email in the same office. What were the water cooler discussions, and did any of these discussions translate into actual action? Speaking of the emails, let’s not forget that what was released Friday was only part of them. Wikileaks/Guccifer hasn’t released all of them yet, and if this is truly some coordinated effort by the Russians to help Donald Trump, well the best ones are sure to come around October. So can the DNC rebuild from this? Party unification is key to defeating Trump in November, and the divide between the Clinton and Sanders side, I’m not sure. Think about the past year. Sanders supporters were constantly told that they were conspiracy theorists and didn’t know how the party worked. This came from vocal Hillary supporters, but also from the chair of the DNC. Now all the conspiracies have been proven true, and in fact, the Sanders supporters actually know more about the rules of the DNC than the DNC chair herself. I believe the DNC has actually takes a solid first step in fixing this. Yesterday morning, before the resignation of Schultz, I told someone that the best thing they could do was get her out and put Donna Brazille in as interim chair. Luckily that is exactly what they did. Donna is very well liked by many, a solid leader and possess a natural ability to handle the press. She’s exactly what the DNC needs right now. I do feel things could get better, but that could easily fade away as more emails are released. And let’s not forget that one key thing the already released emails point to is the establishment problem, which is exactly what the voters of this country are tired for. Right now all eyes are on Donna and what she can do to fix things. I have total confidence in her, but am scared that outside forces could make the job damn near impossible. Hold on tight, because the next 3 months are going to be something.